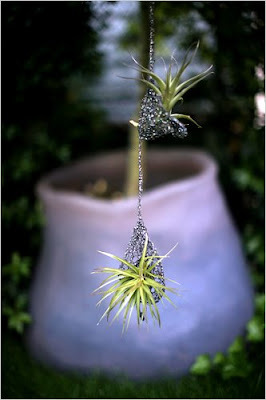 The NY Times has a great article about terrarium grand master Paula Hayes and her adorable tiny garden. 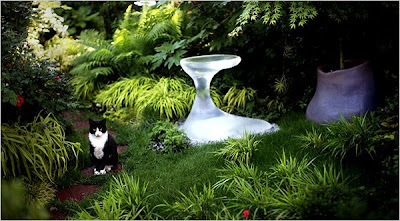 Love that birdbath and definitely love that cat. Thanks for sharing this article, Lauren. I surely would have missed it otherwise. Great to get some insight into the world of Paula Hayes. 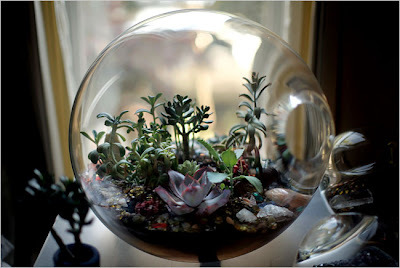 I do love her terrariums. Your site is fantastic. As my terrarium grows (fingers crossed! ), I'll definitely be stopping by often to get more ideas and tips. I saw this article and like you thought it was great. gorgeous gorgeous! ps. have added you as a fave on my blog.. keep meaning to do it and forgetting!